Witsand/Port Beaufort is situated 300km from Cape Town along the Garden Route. The central feature of the Malgas/Witsand area is the magnificent Breede River. 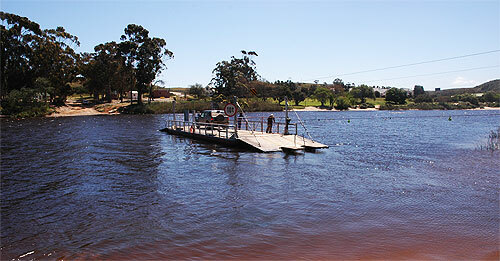 It is one of the largest, most navigable rivers in South Africa and is rich in diverse species of fish and bird life. The Breede River is recognised as one of the best fishing estuaries in the country with tidal action that reaches 60 km upstream. The river is also ideally suited to a range of water sports. Witsand is ideally situated for exploring the surroundings within 200km. Witsand offers a 4km long unspoilt beach, leading to the well-known Moodie's Well. It has a clean, white beach (hence Whitesands) with safe swimming spots for days in the sun. Parents with smaller children also prefer the calm swimming spots along the river. Arniston/Waenhuiskrans and Agulhas, which is the most southern point of Africa. Each year these majestic mammals come to our shores between June and late November to mate and calf. Witsand enjoys the lions share of this visit due to the bay being the prime nursery for cow/calf pairs. A 54 km trail renowned for its diverse fynbos vegetation, magnificent dunes and whale watching opportunities. On the trail you will experience breathtaking views of the Indian Ocean and Breede River Valley. Estuary fishing in the Breede River is recognised as the best in SA. 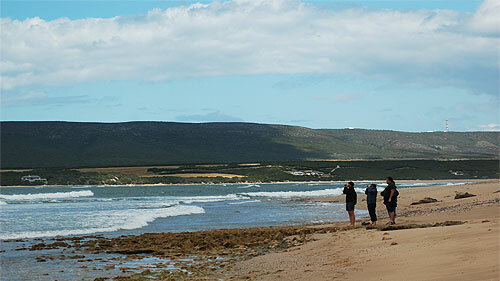 The Breede River mouth is regarded as one of South Africa's top fishing locations. The upper reaches of the river are renowned for its bass, while the lower reaches are a Cob fisherman's paradise - Cob exceeding 50kg in weight are regularly caught in the river. The rock angler will also have good catches along the coastline. Please note that catch and release is strongly encouraged. This is the last hand operated pont in Southern Africa used for vehicle and cattle crossing across the Breede River. It is the only way to cross the river apart from by boat. 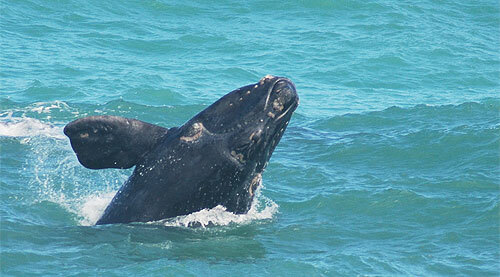 De Hoop Nature and Marine Reserve is a popular destination for people and whales alike. The reserve hosts 3 000 ha of unspoilt Cape fynbos and a marine protected area which is home to an abundance of marine organisms. De Hoop is home to the endangered and rare Cape mountain zebras and Cape vultures, the bontebok, the De Hoop vlei and the best whale watching between July and November. De Hoop's rich diversity of wildlife, plants and culture makes it a unique experience to visitors. Lies at the mouth of the Heuningnes River. The 954 ha reserve is managed as a satellite of the De Hoop Nature Reserve. It supports several species of small animals and has a rich and varied birdlife, making it ideal for birdwatching. The reserve is particularly important for the protection of breeding colonies of the threatened Damara and Caspian terns (South Africa's most endangered coastal bird) and the rare African black oystercatcher, (South Africa's second most threatened coastal bird). Along the Breede River the bird watching is spectacular. The majestic Fish Eagle, the Osprey, Fish Owl, Kingfisher, Oyster Catcher, the Blue Crane and an amazing variety of other birds are often seen along the banks of the Breede. National Monument. It is the oldest church in Witsand - built by the original Barry family in 1859. The Barry Memorial Church (a National Monument) was built by Thomas Barry in 1859. It is still in use today for church services, weddings and tourists. Hand carved by Scottish labourers in the 1800's for the Moodie family to draw water from when they went camping and fishing at the coast (4km beach walk). Moodies Well was carved by hand by Scotsman to store fresh water in, when fishing and camping. A 4 km walk along the beach at low tide will take you there. Built in 1848. It is the first wool shed in South Africa. The shed is still in the Barry family and used for sheep shearing. Remains of the water boat Locust are visible next to the Breede River Lodge. Remains of the SS Kadie steamer are visible at the Infanta shore. Built in the 18th century and recently upgraded. It used to be the only boat launching facility for years thereafter and is still in use today.